These are flexible polymer USA made "Tough Clips" by Hazmat Holster Works. 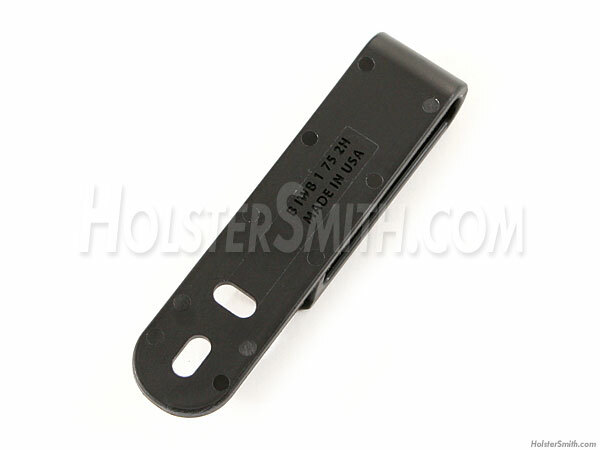 They are excellent for mounting sheaths and holsters on belts and slings. 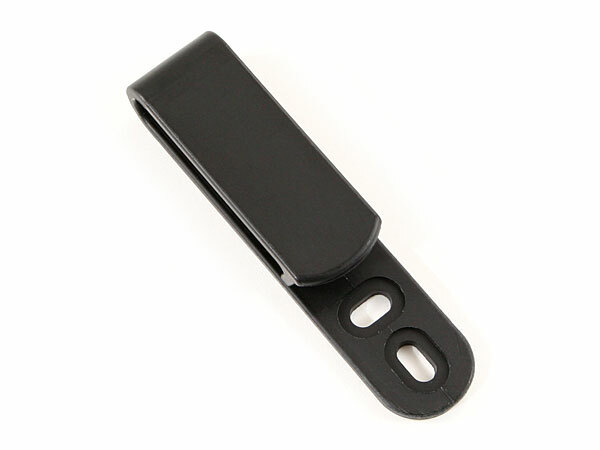 This model fits a 1.75 inch belt width. 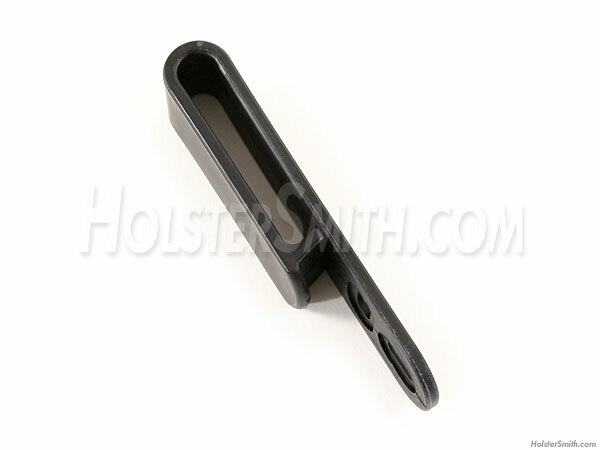 It features (2) recessed holes for mounting attachment. Each one features an extended "finger grab" to ease installation and removal. Because of their material and design, they have a "spring effect" that helps insure retention on the belt.